The second coming of VR looks like being the real-deal. Not only is Oculus beefing up its offering by acquiring various companies, Google has announced that popularity for its mobile VR device, Google Cardboard, is booming – with 500,000 units shipped. Google has also announced an updated version of the official Cardboard app and has launched new Cardboard SDKs for Android and Unity. The SDKs are designed to simplify common VR development tasks, making it easier for devs to get their efforts up and running. Originally handed out back in March at its I/O developer conference, Google's VR headset was then released as a template that you can use to cut cardboard into the right size and shapes - a template that has just seen its specs tweaked. You can also buy cardboard kits from third parties such as DodoCase – check out our eyes-on review of its Google Cardboard kit. "The growth of mobile, and the acceleration of open platforms like Android make it an especially exciting time for VR," said Andrew Nartker, product manager, Google Cardboard. "There are more devices, and more enthusiastic developers than ever before, and we can’t wait to see what’s next." 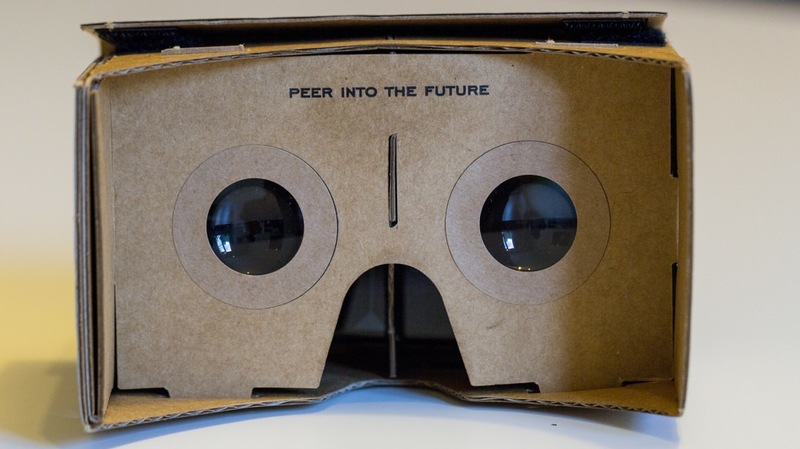 Check out the new Google Cardboard area of Google Play for all the latest experiences and be sure to also check out Wareable's guide to the best Google Cardboard apps.